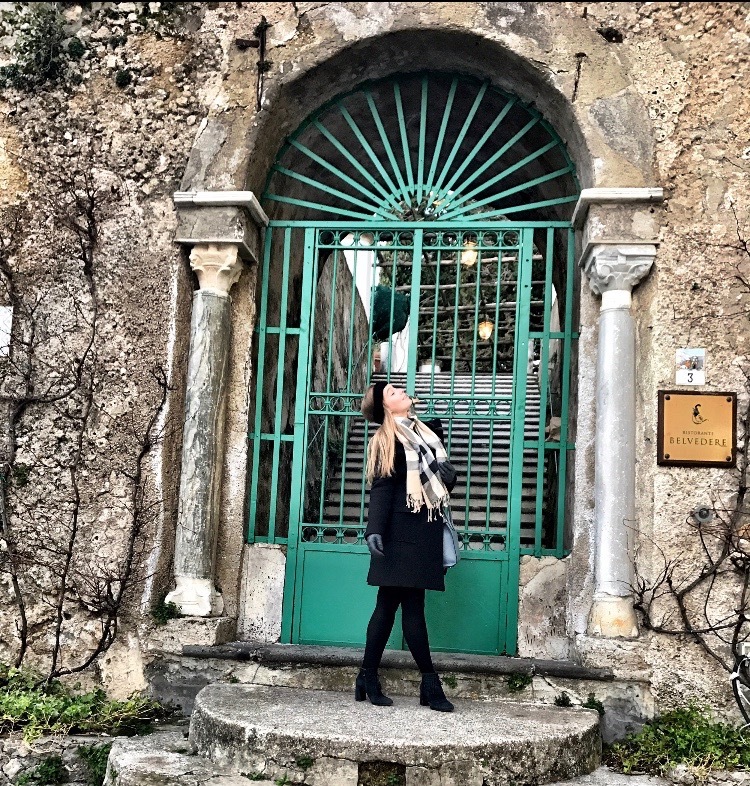 WHERE TO STAY ON THE AMALFI COAST? A question everyone asks when holidaying to this beautiful Italian coastline. 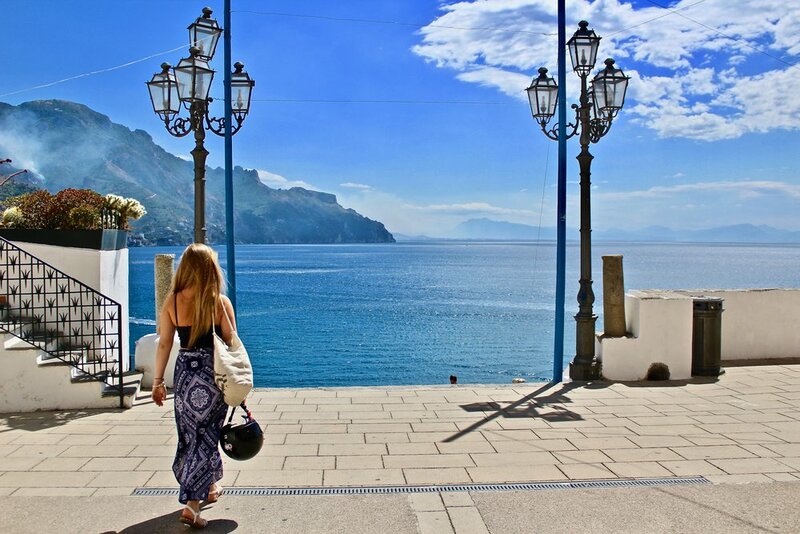 Tune in to the best places to base yourself for access to transportation, places to unwind and relax and other towns that offer an authentic taste of local Amalfitana lifestyle. Amalfi makes for a perfect base for those wanting to get from point A to point B. It is the main hub of ferries and buses, a town that is accessible to everywhere on the coast. Keep in mind it is a bustling town and in the height of the tourist season, it can become a little bit overwhelming, however being the heart of the Amalfi Coast this town has its charms. A hop, skip and a jump away from the centre of Amalfi, Atrani is only a 10 minute walk around the corner. The smallest town in Southern Italy, Atrani is a lovely town with a big heart and is still relatively close to all the action but makes for a nice quiet stay. Ravello: Hidden away in the hilltops. Famous for it’s music festival, more cultured travellers will enjoy the music and art that Ravello has to offer. A place of calm and tranquility, it feels like you have been transported high into the clouds. 15 minutes from Amalfi, the windy bus ride to the top will led you to this place that is also abundant with stairs. If stairs are a problem, maybe reconsider Ravello. Other towns that are in this area include Pontone and Scala which also make for the perfect getaway. 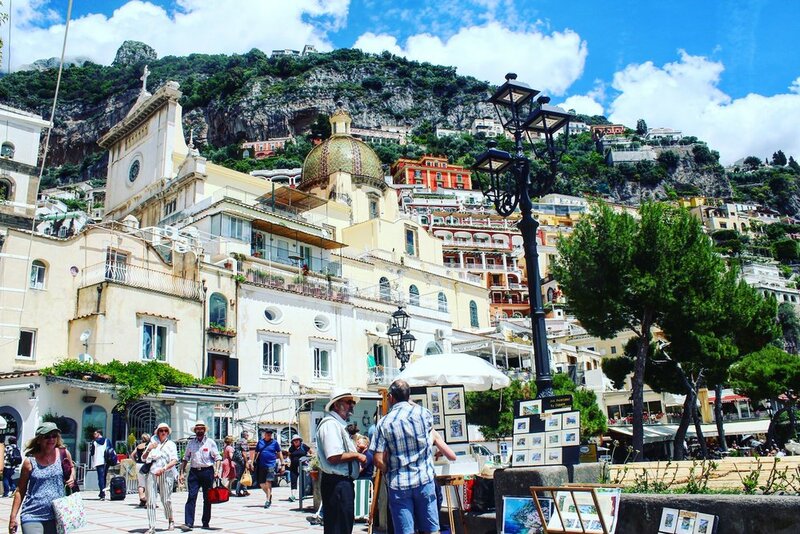 Don’t be surprised if you see the rich and famous strolling down the promenades of Positano. The pastel buildings with it’s climbing Bougainvillea, are just divine and are something out of a dream. Positano is more of a destination place to stay rather than a base to go here there and everywhere. Accommodation can be a little bit more expensive and one can be faced with a couple of transport issues. Be aware that in the tourist season, buses can be a nightmare and the taxi fare is not cheap. Just a 15 minute bus ride from the hive of Queen B Positano, Praiano is a quaint town with it’s beautifully decorated Duomo di Saint Gennaro. This town has many villas, B&B’s. Remember Praiano is not Positano, it is a completely different town. Minori is a town that puts the authenticity in the Amalfi Coast. A typical southern Italian town, a place to truly immerse yourself in the local culture. Minori is a good choice for people who want a flat convenient town with many hidden treasures of its own. Minori is quite an affordable place to stay with many appartments you could rent. Similar to the town Minori, Maiori is a little larger. 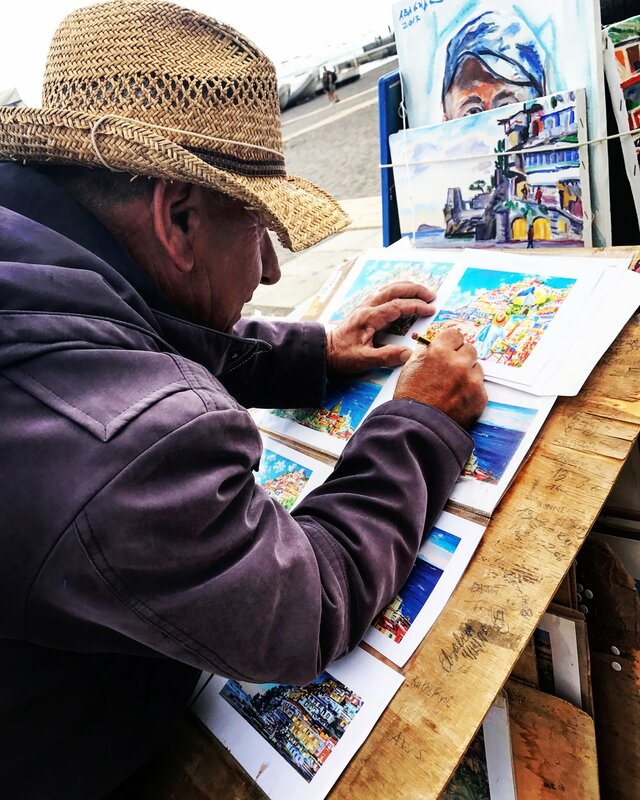 Indulge in the Friday town markets with fresh produce, is another town that is relatively flat with a lovely promenade for afternoon passangiatas. Maiori is one of the most affordable places to stay on the Amalfi Coast.